What began as a small idea has now grown into a nationwide community of like-minded dancers who are empowered to give back to the world. We hope this exchange will further develop your relationship to dance by sparking your desire to be an ever-evolving teacher and inspiring you to advocate for dance’s ability to change lives. We admire your commitment to movement and global service, and we look forward to witnessing how your individual perspective will enrich our time together. Below you will find information on Panama and what to expect during the dance exchange. With eight years of experience hosting dancers in Panama, we look forward to welcoming you to the Movement Exchange family. Welcome to Panama, a Caribbean isthmus connecting North and South America. With 10 provinces, 8 officially recognized indigenous groups , and a population of about 4 million, Panama offers a rich cultural and environmental diversity. Panama has a tropical climate, with temperatures ranging between 75-85°F. Panama is extremely humid year-round and almost all of the rain falls during the rainy season from April to December. Panama’s rainforests hold the most diversity of all the countries in Central America. In 2010, the population of Panama was 65% Mestizo (mixed white and Native American), 12.3% Native American, 9.2% Black, and 6.7% White. 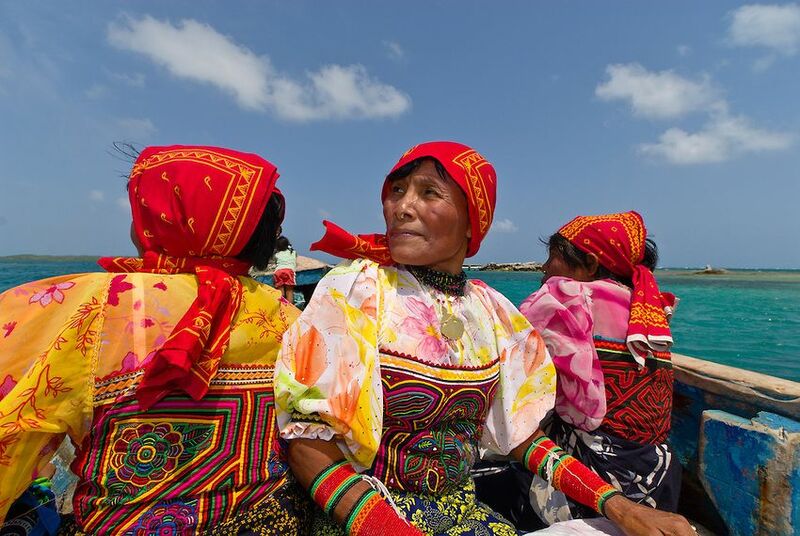 Panama has had different waves of immigration from Jamaica, China, Palestine, South Asia, and Syria, adding to the cultural diversity of Panama. 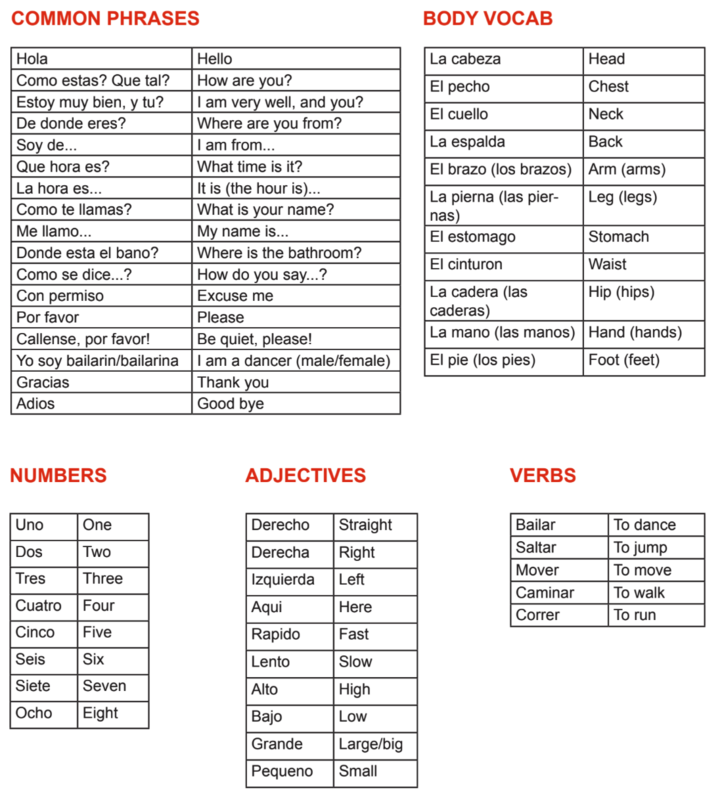 While Spanish is the official and dominant language of Panama, many citizens speak both English and Spanish or their native languages. From the moment the Pacific Ocean was “discovered” by Vasco Nuñez de Balboa in 1513, the Europeans had hopes of building a bridge between the Atlantic and Pacific Ocean. The French began building the canal in 1881, but due to disease and inefficient equipment, the French declared bankruptcy and abandoned the project. The U.S. took over the project and completed the canal in 1914. In 2016, the Panama Canal expansion project began, allowing for the canal to double its capacity and allow larger ships to pass through. During the construction of the canal, the U.S. acquired the Canal Zone, 10-mile-wide strip across the isthmus. Over time, tensions grew between U.S. and Panamanian citizens and on January 9, 1964, riots broke out, killing twenty Panamanians and leaving over 500 wounded. In 1977, the Torrijos-Carter Treaty was signed that allowed for the complete transfer of the canal from the U.S. to Panama by 1999. However, tensions continued to rise and in 1989, the U.S. invaded Panama in order to bring down its dictator Manuel Noriega for drug trafficking. The mission took hundreds of Panamanian lives and damaged parts of Panama City. Noriega surrendered and was tried, convicted, and jailed on drug trafficking charges. In 1999, the U.S. ended nearly a century in Panama and closed all of its military bases and turned over control of the canal. Approximately 20 years later, U.S. and Panama relations have neutralized and cultural and economic ties between the two countries are strong. Panama is one of the safest countries in Latin America. Upon arriving in Panama, the Movement Exchange team reviews travel safety and emergency procedures with each group. Participants should always travel in groups and safeguard valuables and cash while sightseeing, shopping, or dining. Flights should be arranged to Tocumen International Airport (Airport Code: PTY). Use an online booking site such as kayak.com to find the best fares from your city to Panama City and send your itinerary to Movement Exchange for approval BEFORE booking your flights. Participants should arrive in Panama at designated times as there will only be one group pick up and drop off at the airport. If participants are unable to arrive during these designated times, Movement Exchange will arrange for a secure ride to or from the airport, but this expense will not be covered by Movement Exchange. To travel to Panama, you will need a U.S. passport with validity of at least 3 months past your exchange start date and a return flight either back to your home country or an onward destination. Review this information from the U.S. Department of State. Participants with a passport issued by a country other than the U.S. must contact a Panamanian Embassy to inquire about their eligibility for entry into Panama. All participants must have personal health insurance that covers international travel. Please check with your U.S. carrier regarding international travel coverage. International health insurance typically costs around $50 and is available for purchase online. There are currently no required vaccinations to travel to Panama. For more information, visit www.cdc.gov. A $500 non-refundable deposit will be at least three months before the exchange. Program Donations can be submitted via Movement Exchange’s PayPal or via Move-Ex’s online fundraising platform. For more info, email info@movementexchanges.org. $100–$300 in spending money in U.S. dollars. Allocate enough extra cash for yourself to cover the designated dinners on your own, souvenirs, etc. Panama uses the U.S. dollar. Panama is hot, humid, and wet, so be sure to plan accordingly. Bring smaller bills, such as $5’s and $10’s, as some vendors do not have change for larger bills. Leave hair dryers and other such beauty products at home. You will not need them. Pack light. A large backpack or duffle bag should provide plenty of room for everything that you need to bring. Try to bring only carry-on luggage. Medicine: keep them in their original prescription bottles and always in your carry-on luggage. Be sure to follow security guidelines if the medicines are liquids. Bring some plastic sandwich bags to keep your camera, wallet, etc dry. Prior to an exchange, Movement Exchange will be sending you a teaching sign-up sheet where you an pick the dates and times you would like to teach. All participants should teach about the same amount of time. About 1 month before the exchange, (if you’re not on your university chapter exchange), we’ll be putting you in contact with your group in order to collaborate with other participants! If this is your first time teaching, don’t worry! You won’t be alone, and the Movement Exchange team is happy to give you advice and ideas for teaching. All participants will be staying in shared room accommodations throughout the exchange. Most participants stay at Magnolia Inn, a luxury hostel located in the heart of Casco Viejo, the colonial neighborhood of Panama City. If the exchange includes travel outside of the city, participants will be notified of their accommodations ahead of time. Movement Exchange provides daily transportation between youth foundations, orphanages, and activities. Participants are not responsible for transportation within the itinerary. 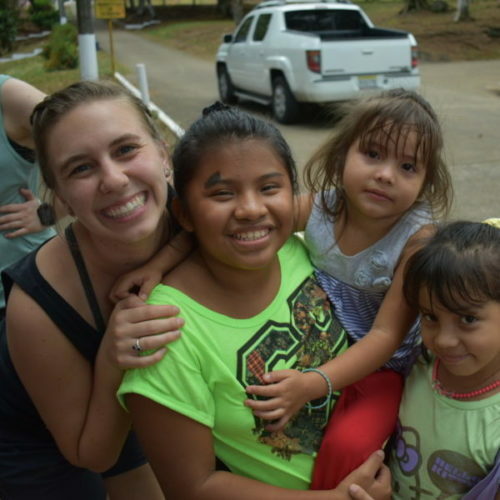 If participants wish to travel throughout Panama City during their free time, Movement Exchange team members will help them travel safely to and from their destination. Learn more about the places you will teach and take dance class on our partners page. Dancers will have access to internet throughout the exchange, however, access to internet is not guaranteed every day of the program. We recommend downloading the application “WhatsApp” or “Skype” for communicating over wifi. If you choose to bring an unlocked cell phone, phone cards are available for purchase. You may also look into an international service plan for your phone if desired. Welcome to the Caribbean! The itinerary will change, rain means people show up hours late, and the general pace of life is much slower. We will stick to the itinerary as much as possible, but remember that the itinerary is always subject to change! Below you will find some suggestions for extending your travel to Panama. Both of these archipelagos are on the Caribbean side of Panama and although quite a drive and boat ride from Panama City, they are definitely worth the trip to learn more about the diversity of people and landscape in Panama. if you arrive outside of the set time frame. Please check with the Move-Ex team before you book your flights. Kimberly Choi was born and raised in Panama and considers art to be a big part of her life. Kimberly strongly believes that art is the fundamental basis to the everyday life, whether it is conveyed in a physical or abstract method. She is currently working to obtain a BA in Psychology. Intrigued and inspired by human behavior mainly with what and how people convey their intrinsic motif to the external world and potentially creating unity in a movement. Kimberly is proud to be forming part of a team that benefits a variety of communities (locally and internationally) by embracing a harmony between unity and individualism for a holistic perspective such as dance. Adele attended her first exchange to Panama in March 2013 and returned feeling inspired and amazed by the idea that dance, as a universal language, can unite anyone despite cultural or linguistic differences. Adele has been dancing since she was two years old and believes that without dance, she would not be the person she is today. Through dance, she learned how to be confident, creative, hard-working, passionate, and persistent. 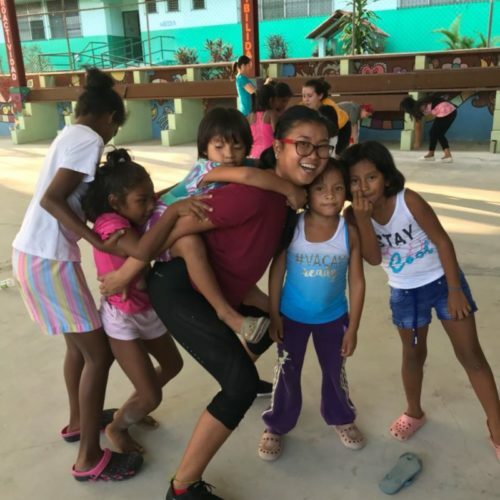 Adele co-founded the Movement Exchange chapter at Florida State University and after graduating in 2015 with her BFA in dance and minors in Biology and Chemistry, she joined the Movement Exchange team in Panama. She enjoys the adventure of living in tropical Panama and is constantly inspired by the dance diplomats who she meets on international dance exchanges. Move to change!